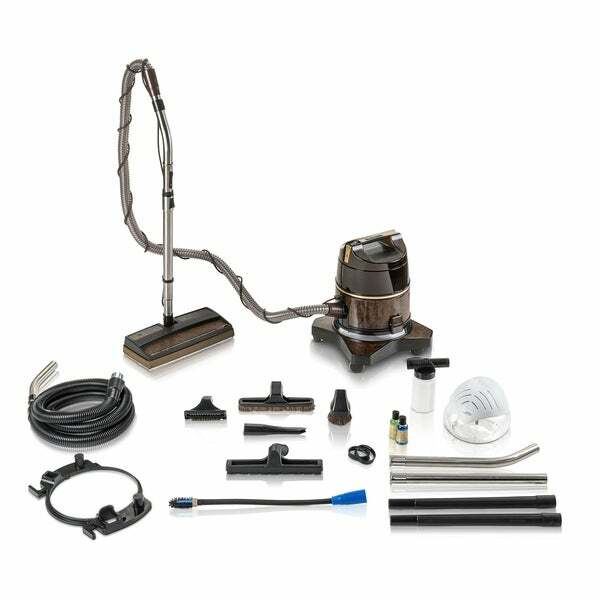 Reconditioned Rainbow D4 Bagless Canister Vacuum Cleaner with highly efficient Water Filtration Technology and is one of the most powerful bagless canister vacuums on the market with an amazing 72 CFM of power! With its 18-Piece GV PRO tool kit, BONUS purifier humidifier/diffuser and essential oil pack. Comes with a Clean, Reconditioned, durable Genuine D4 power nozzle with Slider Valve and reset switch. Quality motor and brush roll creates optimal cleaning power and uses a genuine Rainbow belt that will never slip or rip! Effortlessly handle any other cleaning job around the home with the on-board GV PRO 32mm Attachment Set, which includes the Crevice tool for all your edge cleaning and hard to reach areas, the Duster Brush/Upholstery tool for all your furniture and car seat cleaning, and with the extra long reach from the GV hose/wand kit, you can dust your ceiling fans with ease. Hygienic, bagless design, Powerful, efficient, low center of gravity motor and water/dirt basin, Water Filtration, 5-Year warranty, 5 high end cleaning accessories, and a large cleaning range. The Rainbow D4 is designed to be your most used appliance. The rainbow came with no directions what pipes goes where very this please. The floor brush doesn't fit falls off and dusting brush won't go on hose. Nothing wrong with the vacuum cleaner. Rainbow makes an awesome product! It is reconditioned and looks great!! My problem was with the way it was packaged and the way I was jerked around. The packaging was extremely poor. The package was left out in the rain by the UPS carrier and the box was so beat up from shipping that it fell apart when I picked it up. They used an OLD USED box to ship it!!! No packing, just the pieces in a box!! The first box they sent was returned by the carrier because the box split open. I received an email that the package had been delivered to me! Then I was jerked around by customer service reps that knew nothing and just read off a computer screen. This vac was ordered on March 27, 2019, falsely delivered on March 29, 2019 (returned to Overstock by carrier), and finally delivered to me on April 8, 2019. Not a long time, but being jerked around about the false delivery on March 29 was too much! Again I will say that it is a great product. Overstock just needs to get their people to package the orders so they will not bust open!! Merchandise was broken upon receipt. I have contacted the company and will write a review once the problem is corrected. Used a Rainbow for many years and after it broke I bought another brand and have never been satisfied with it.